Ajinkya Seeds Pvt. Ltd., Pune, India - Welcome to Ajinkya Seeds Pvt. Ltd.
Ajinkya Seeds Pvt. Ltd. - Welcome to Ajinkya Seeds Pvt. Ltd. Follow Ajinkya Seeds Pvt. Ltd.
About Ajinkya Seeds Pvt. Ltd. 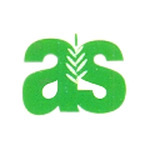 Established in the year 1999, Ajinkya Seeds Pvt. Ltd., is known to be one of the leading manufacturers, suppliers, distributors and wholesalers of the finest and the most commendable range of Agricultural & Vegetable Seeds. The range is made up of the finest Agricultural Seeds, Vegetable Seeds and Chilli Seeds, is widely acclaimed and asked for in the market. Processing of this range is done in compliance with the set industry norms and guidelines, utilizing the finest machinery. This ensures the product’s standard of quality. Further, the range is known to be marked at the most reasonable rate possible.